For life-threatening emergencies, proceed immediately to your nearest Emergency Department. Those who present to Mission Hospital may be seen by one of our surgeons there, where we provide continuous Surgical/Trauma coverage. Outside of normal business hours, all calls to (949) 364-1007 are transferred to our exchange which contacts our on-call surgeon regarding urgent concerns. Covered parking is available in structure. We regret that we are unable to validate the pay-for parking stubs. 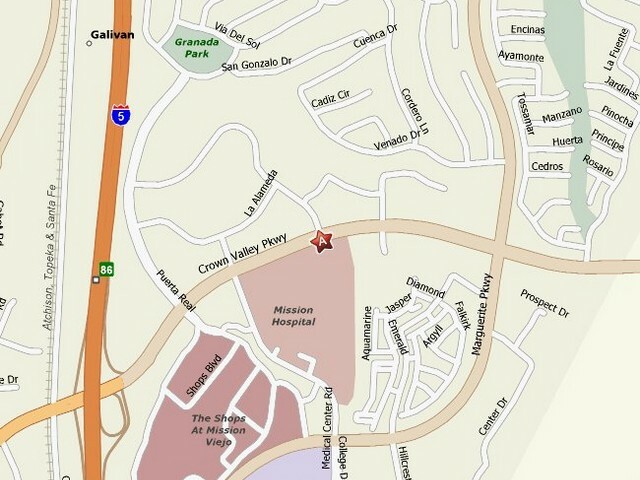 Obtain MapQuest® driving directions by clicking on the following map.